At ONE Banana, we believe people make a difference. We are One different banana company because of our team members. We are committed improving and supporting better living conditions for our workers, their families and their communities. With the success of our multiple programs, we have helped over 60,000 people in 60 different communities in Guatemala and Ecuador, and our 8,000 employees and their families. We care for the welfare of our employees and their families and aim to improve their living standards and contribute to the development of their communities. Ongoing labor training development programs are carried out at all levels, from the board of directors to the field workers. Among the subjects taught are: human values, health and wellness, civics, ethics, financial saving, as well as technical subjects. Our objective is to contribute and improve the standard of living of the inhabitants in the communities close to our operations and empower them through education, health, management and citizen participation programs. Additionally we encourage them to become actively involved in the development of their communities and manage projects and state resources for the benefit of their villages. We also believe in financial success and stability. We have created cooperatives for our workers to promote the welfare and improve the living standards of our employees and their families. Among the many benefits, members gain access to very low financing in order to purchase housing, land, vehicles, appliances, etc. The Local Coordinator for Disaster Reduction was created jointly with the National Coordinator for Disaster Reduction and the Community Development Councils of the southwestern Guatemala, in order to support the communities in case of natural disasters and organize them so that they learn to react correctly before such an event. Our Happy Families Program is fundamentally a Nutritional and Food Security program for workers’ families. One of its main goals includes helping to achieve one of the Millennium Development Goals to reduce malnutrition and infant mortality rate. It is a two year program that includes training, practical activities, monitoring, supervision, evaluation and support. This program is conducted in partnership with USAID and local health centers. ONE Banana is also a member of the Food and Nutritional Security Development Council (CODESAN). Around 12,000 people have benefited with the program. In partnership with local governments and schools, we donate bananas to 16 rural schools close to our operations during the school year, and empower mothers and teachers on health and nutrition in order to lower malnutrition rates in the area and improve food security. This project was awarded by Unilever International Awards with a Big Tick. 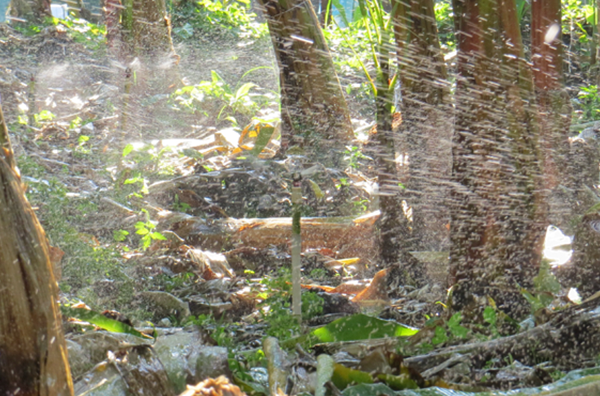 Our Human Development Center is a community center in the southwestern part of Guatemala. It includes a private school for employee’s children and a medical clinic whose main focus is the care of ONE Banana employees and their families, as well as the surrounding communities. We partnered with the University of Colorado to help us create and run this program. In November of 2016, we opened our Birthing Center as part of our Medical Clinic. The Medical Clinic and Birthing Center provide care to prenatal mothers and then also provide care from delivery through child development, until the age of 3-years-old. The center provides access to affordable, safe and clean health services, prenatal care and childbirth facilities. We take our commitment to the planet and environment very seriously, which is why ONE Banana is Rainforest Alliance , GlobalG.A.P. and SCS Sustainably Grown certified, the latter which is considered one of the most rigorous agricultural certifications to achieve. We are proud to say that 100% of our farms are certified by the Rainforest Alliance and GlobalG.A.P. We believe in implementing rigorous environmental standards around conservation and our Tier 1 SCS Sustainably Grown Certification signifies to the public that our company is acting consistently with our mission and vision. Verify that products have been grown using environmentally responsible practices such as through soil and water conservation, sustainable crop production, and integrated waste management. Demonstrate standards of good agricultural practices, which contribute to product quality, safety & purity and minimize negative environmental impacts of farming operations. Ensure the utilization of fair labor practices, a responsible approach to worker health & safety and the promotion of good community relations. 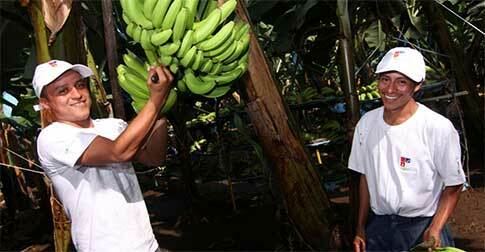 ONE Banana is dedicated to making a difference through better trade and business practices. 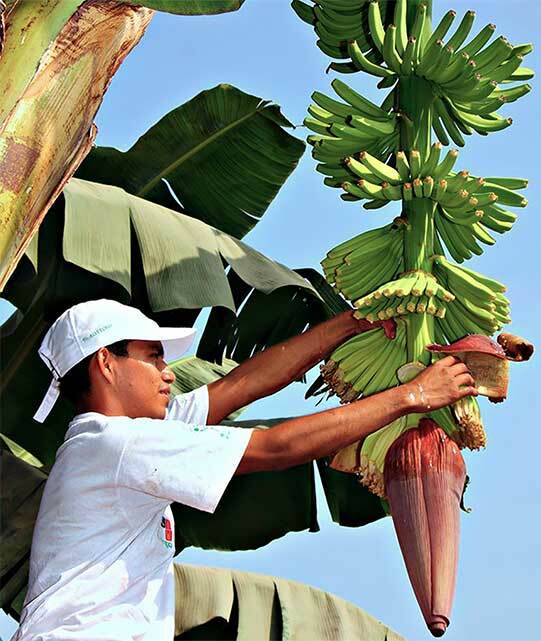 As a member of the United States Border Patrol’s Customs-Trade Partnership Against Terrorism (C-TPAT), ONE Banana has been recognized for its continued commitment to protecting its banana supply chain, identifying any possible security gaps, and uniformly implementing best security practices in the fight to reduce terrorism. 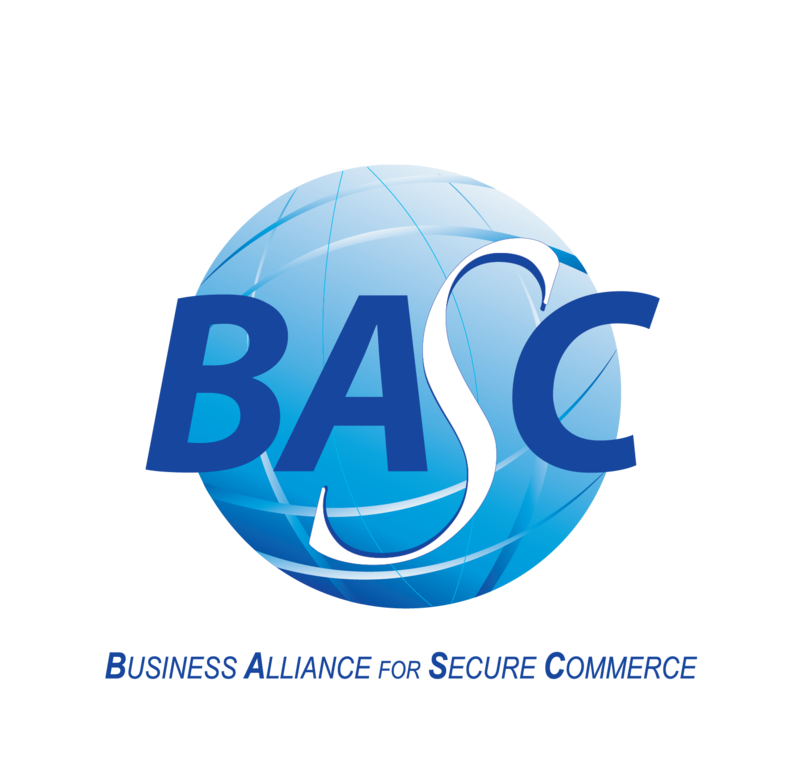 As a Business Alliance for Secure Commerce (BASC) certified member, ONE Banana is committed to promoting safe international trade in cooperation with governments and international organizations. With over 7,500 hectares of land planted, conserving water is extremely important in how we grow our bananas and take care of our ecosystem. Because of that, we have invested in the latest cutting edge irrigation technology reducing our water usage. Furthermore, we take environmental responsibility very seriously and have implemented the use of new, environmentally friendly materials in growing our bananas. In our continued effort to be the better banana company, ONE Banana is a certified Fairtrade trader of bananas. Fairtrade is an alternative approach to conventional trade based on fairer partnerships between producers and traders, businesses and consumers. The Fairtrade standard ensures that fair and sustainable trading practices – including transparency, fair prices, labor & environmental standards, and trading with integrity – are implemented throughout the supply chain. This type of fairer trade can be a powerful driver of poverty reduction and a promoter of sustainable development. By selling Fairtrade certified bananas, we are increasing producers’ access to markets, and contributing to improve their development. Since the Fairtrade premium is invested back into the communities and contributes to support healthcare and social projects as well as infrastructure improvements; all efforts that are core to ONE Banana’s vision and mission. Because of our commitment to sustainability, we are also members of the World Banana Forum and The Sustainability Consortium. The WBF is a permanent space of assembly for participants representing the global banana supply-chain to promote open dialogue on challenges facing the banana industry. This groundbreaking initiative brings together producers, their organizations, trade unions, cooperatives, exporter groups, fresh produce companies, retailers, traders, public agencies, governments, research institutions and civil society organizations. The mission of the WBF is to inspire collaboration between stakeholders that produces pragmatic outcomes for the betterment of the banana industry; and, to achieve an industry-wide consensus of best practices regarding workplace issues, gender equity, environmental impact, sustainable production and economic issues. TSC is an organization of diverse global participants that work collaboratively to build a scientific foundation that drives innovation to improve consumer product sustainability.  It develops transparent methodologies, tools, and strategies to drive a new generation of products and supply networks that address environmental, social, and economic imperatives. TSC advocates for a credible, scalable, and transparent process and system. The organization boasts over 90 members. TSC is jointly administered by Arizona State University and University of Arkansas with additional operations at Wageningen University in the Netherlands and Nanjing University in China.